De Blasio Brags About New York Cigarette Price Floor Being Raised To "Highest Price In The Country"
New York City Mayor Bill de Blasio announced Wednesday that cigarette prices in the city would go up by $2.50 to $13, bragging it would be "the highest price in the country." 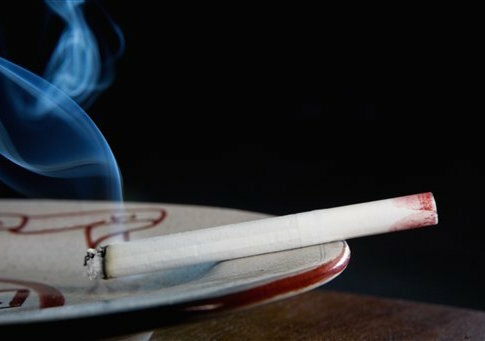 The proposed tax hike is intended to reduce the number of smokers in New York City by 160,000 over the next three years. The city currently has about 900,000 smokers, including about 15,000 youths. We're going to raise the floor on the cost of a pack of cigarettes from $10.50 to $13 — the highest price in the country. De Blasio's proposal continues the work of his predecessor, Michael Bloomberg, whose crusade against smokers including imposing the nation's highest cigarette taxes; banning smoking in bars, parks, and on beaches; and working to raise the minimum tobacco-buying age to 21. The plan includes not only the proposed price floor hike, but also four other platform points: "reducing through attrition the number of tobacco retailers citywide," "creating a retail license for e-cigarettes, and capping the number of e-cigarette retailers," "requiring all residential buildings to create a smoking policy and disclosing it to both current and prospective tenants," "and banning the sale of tobacco products at pharmacies." De Blasio framed his new proposal as an attack on "Big Tobacco," calling them "public enemy no. 1." "These companies have used the same playbook for decades, and we can no longer sit by while the next generation becomes addicted," de Blasio said. "Today, we are taking a stand against these companies to not only reduce smoking and tobacco usage in New York City, but also save lives." In the same press release, Department of Consumer Affairs Commissioner Lorelei Salas admitted that the goal of the legislation was to make it harder to get nicotine products. "Easy access to tobacco retailers makes it hard for smokers to quit and has contributed to the recent rise of NYC youth using cigars and smokeless tobacco," Salas said. "By giving DCA the ability to license e-cigarettes and limit the number of retailers selling tobacco products, we can better enforce existing laws that help keep tobacco products out of the hands of minors and improve the health of all New Yorkers." Many argue that increases in cigarette prices are regressive, meaning they disproportionately weigh on the poor and underprivileged. A widely cited study which surveyed smokers in New York State and nationally said that between 2010 and 2011, those making less than $30,000 per year in New York State spent 23.6 percent of annual household income on cigarettes. That is more than the 14.2 percent spent annually by households in the same income bracket nationally. According to a representative of the American Cancer Society interviewed by the New York Times after the study was released, those in the less than $30,000 per year income bracket paid 39 percent of all city and state taxes on cigarettes. In addition to increasing disproportionately the living expenses of New York City's poor, the new proposals attack e-cigarette smokers. According to the press release, there are 174,000 adults and 42,000 adolescents using e-cigarettes in New York City. Council Member Fernando Cabrera, who introduced the bill to create the licensing requirement for e-cigarette retailers, described the proposal as "a major step to limit the use of e-cigarettes, which are dangerous nicotine delivery systems that can lead to nicotine and potentially drug addiction." "Local governments are restricting access to e-cigarettes as the dangers of ‘vaping' are more widely recognized … This is an important first step in protecting the health and safety of New Yorkers," Cabrera continued. Cabrera drew an implicit connection between the use of e-cigarettes and the opioid crisis currently ravaging New York State, saying, "In the midst of an opioid addiction crisis, we must take leadership now to prevent more addiction." According to the New York Times, an estimated 1,300 people died of opioid overdoses in New York City in 2016. There is no evidence to suggest that any deaths can be attributed to e-cigarette use. Cabrera's anti-e-cigarette agenda appears to undercut the general agreement that e-cigarettes are safer than smoking. One recent long-term study, published in the Annals of Internal Medicine, concluded that "e-cigarettes are less toxic and safer to use compared to conventional cigarettes." According to a report by the Royal College of Physicians which synthesized current knowledge, "the hazard to health arising from long-term vapour inhalation from the e-cigarettes available today is unlikely to exceed 5 percent of the harm from smoking tobacco." Contrary to the public health concerns that Cabrera raised, the same report said that the interest of public health is served by working to "promote the use of e-cigarettes, NRT, and other non-tobacco nicotine products as widely as possible as a substitute for smoking in the UK." This entry was posted in Culture and tagged Bill de Blasio, Tobacco. Bookmark the permalink.